This animation presents the “inMirror”, a vanity mirror with integrated fivefold magnification and soft LED lighting as well as storage functions. Through shot transitions, lens shifts and largescale arrays, the video brings out the product properties in a dynamic manner. 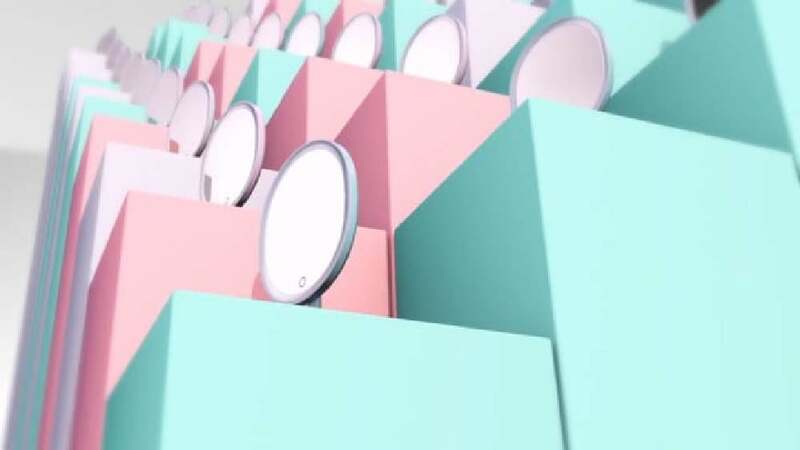 Moreover, it presents the three colours the mirror is available in – ivory, sakura pink and mint green – placing emphasis on the principles of aesthetics and biology. Three bouncing balls at the beginning of the video express the feel of youth, fashion and softness – and connect to the three different available models.